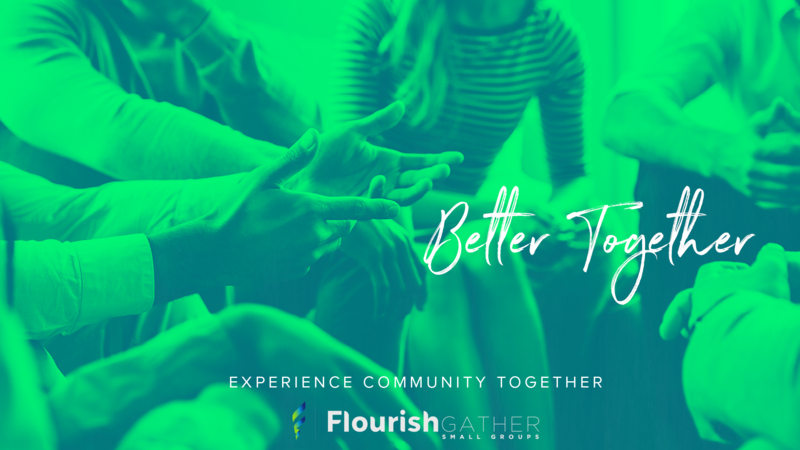 smallgroups | - Flourish City Church | You can reach the world from here! By joining a small group, you have the opportunity to know Christ better, experience Him deeper and love Him more as you connect with others in community. We offer groups for men, women, singles, and couples, as well as mixed (couples and singles) and special interest groups at our church campus and in various locations throughout Dallas-Fort Worth. Our groups meet on a regular basis to connect relationally, study God’s Word, hold each other accountable, and reflect the love of Christ in their service. Groups meet at various times and many different locations throughout the metroplex. Can you imagine experiencing a life that not only blesses you, but benefits your brothers and sisters in Christ? Dates: February 8,22. March 8,22. April 5,19. April 27th, May 11th- time and place to be determined.